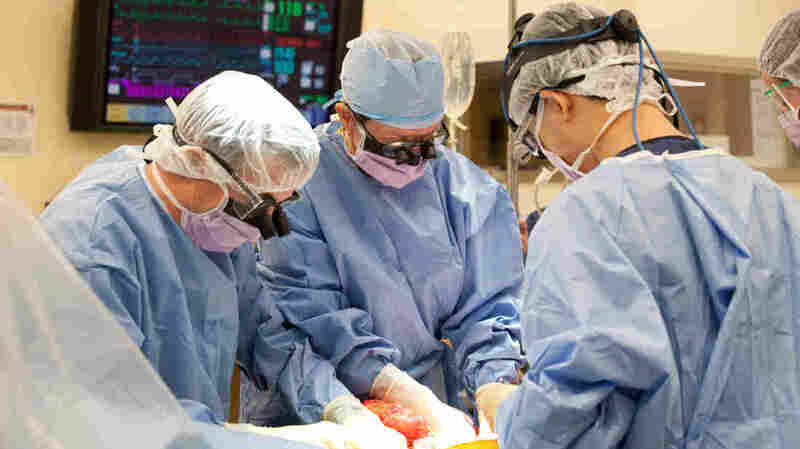 One Last Journey For Organ Donors Speeds Transplants : Shots - Health News A regional transplant service built a centralized surgical center in St. Louis where organs are removed from donors. The approach has shaved hours from the time it takes to get organs to patients. 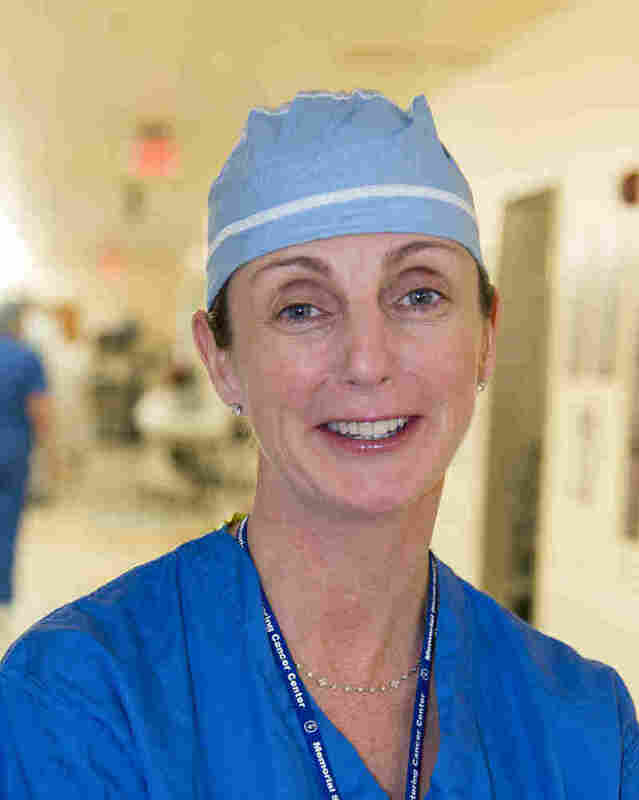 If Dr. Majella Doyle is your surgeon, it means that something very bad or very good has just happened to you. Doyle is a liver transplant specialist. For years that meant she had her bag packed, ready to fly or drive to wherever an organ donor lay on life support. That could easily mean eight hours of travel. And that was just the start. "You have a lung team, a heart team, a liver team and maybe a pancreas team," says Doyle, who is an associate professor of surgery at Washington University School of Medicine in St. Louis. Since each team has two or three people, a dozen people from all over the country might descend on a small-town hospital in the dead of night. They would often have to wait because the operating room was booked with trauma cases and scheduled surgery. And the staff may never have assisted with organ recovery. "It's incredibly difficult and challenging for all the personnel involved, to be honest," Doyle tells Shots. "The nurses in these little hospitals, they're not used to it, so it's very stressful for them." But Doyle doesn't travel much now. Instead, organ donors come to her. That's because in 2001, doctors in St. Louis launched an experiment that they hoped would make the organ donation process swifter and less costly. A dedicated surgical center was created at Mid-America Transplant Services, one of 58 federally-designated regional organ procurement organizations. Two staff members travel to a hospital in the region where a brain-dead organ donor waits on life support, and bring the donor to St. Louis by ambulance or specially equipped airplane. The experiment has worked, Doyle says. In the first 10 years, travel time for liver transplants has been reduced from 8 hours to 2.7 hours, and surgeons almost never have to fly out to donors. The cost of a donated liver, which is paid by the transplant recipient, was cut by 37 percent, from $8,000 to just under $5,000. 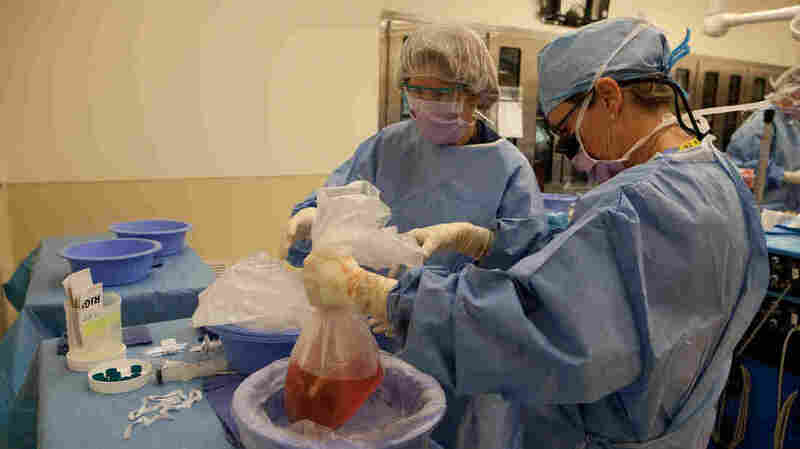 In 2011, 93 percent of liver donors in the area were transported to the St. Louis facility, which is within two miles of the two hospitals that perform organ transplants for the region, which includes parts of Missouri, Arkansas and Illinois. These results, which are based on 915 liver transplants performed from 2001 to 2011, were published Tuesday in the American Journal of Transplantation. The study didn't look at whether the swifter process makes for higher quality organs for the recipients, but Doyle thinks it does. "As transplant surgeons we try very hard to minimize the time on ice," she says. "Twelve hours would be really pushing it. We like to keep it to six." Having a team that's skilled at organ recovery makes it more likely that more organs can be used from each donor, Doyle says. "For the families to know that their loved ones saved three or four people, it's hugely comforting." She knows, she says, because she meets those families at a candlelit memorial service the facility holds each summer for transplant recipients and relatives of donors. "I have such admiration for families who are able to go through the whole donation process," she says. "They're incredible."